Most of our RemoteCall users aren’t even aware of how much they can customize and personalize the customer connection method. With RemoteCall Pro we offer our users multiple ways to get connected with their customers, from embedding the connection box directly into your home page, setting up a personalized connection URL with easy one-click access, or installing a desktop shortcut on your customer’s computer. Each of these methods offers ways to make RemoteCall your own and personalize the way you connect and interact with your customers. Our most popular and straightforward connection method uses our public support page www.startsupport.com. This is the default connection method for all new RemoteCall users and requires no additional setup. 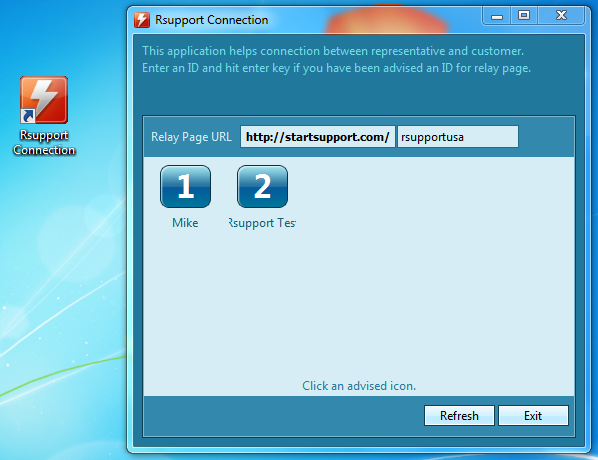 Simply launch a RemoteCall support session and direct your customer to www.startsupport.com. Get your customers to enter the 6-digit connection code and you’re ready to go. 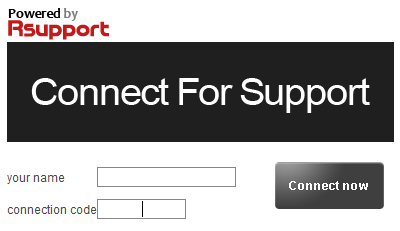 Another popular method for connecting with customers is embedding the connection box from www.startsupport.com right into your own home page. This allows you to keep your customers on your own website and offer them a one-stop-shop for remote support and help. 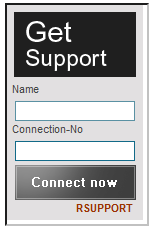 This also allows you “the user” the ability to create your own support portal and brand it any way you like. For information on embedding the connection box into your home page, check out our helpdesk article Embedding the connection box on your home page. If you’d like to try something other than using the 6-digit connection code, you can give our personal support URL a try. Using a personal support URL, you can make use of our patented Web-Icon connection method. The Web-Icon method shows a numbered icon for each pending support session that your team launches. Your customers simply need to click the numbered icon associated with the representative they’re speaking to. This allows your customers to get connected with you in a matter of seconds with no need for complicated connection codes. To setup a personalized support URL and the Web-Icon connection method, please contact your Rsupport account manager for details. Our last option allows your customers to install a shortcut on their desktop allowing quick and easy future connections. This desktop shortcut can be installed by you or the customer during the support session. 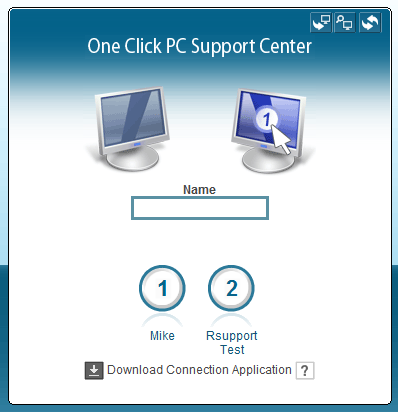 It is recommended you use the desktop shortcut along with a personalized support URL, making use of the Web-Icon connection method (for information on setting up a personalized support URL and Web-Icon connection method, please contact your Rsupport account manager). To install the desktop shortcut, go to your personal support URL (e.g., www.startsupport.com/mycompany) and click Download Connection Application at the bottom of the page. Once installed, your customers simply need to double-click this desktop shortcut to see a list of pending support sessions from your support team. Each icon is numbered and displays the representative’s name. Well that’s it for our 4 ways to customize your RemoteCall connection methods. Feel free to leave us your comments and suggestions, and thanks for using RemoteCall!